There is little known about Pulmonary Fibrosis and it’s difficult to detect. There is no cure. In 2014 the FDA finally approved two drugs to help slow the disease and provide longer quality of life. The only permanent solution is a lung transplant. According to the American Lung Association, many individuals with pulmonary fibrosis live only three to five years after diagnosis. Recent studies are discovering Pulmonary Fibrosis isn’t just one disease. It is a family of more than 200 different lung diseases that all look very much alike causing diagnosis to be difficult and often times diagnosed too late. PF can be IPF (Idiopathic Pulmonary Fibrosis meaning the cause is not identified or the disease occurs spontaneously, or the cause can be known and fall into one of these categories - Autoimmune Disease, Occupational Exposure, Environmental Exposures, Drug Induced or Medication Exposures, and Genetic/Inherited diseases. According to the National Institutes for Health (NIH), IPF is a condition in which over a period of time the lung tissue becomes thickened, stiff, and scarred. The development of the scar tissue is called fibrosis. As the lung tissue becomes scarred and thicker, the lungs lose their ability to transfer oxygen into the bloodstream. As a result, the brain and other organs don't get the oxygen they need. In some cases, doctors can determine the cause of the fibrosis, but in most cases, there is not a known cause. When there is no known etiology for the fibrosis (and certain pathologic criteria are met) the disease is called idiopathic pulmonary fibrosis or IPF. IPF affects approximately 500,000 Americans and an estimated 40,000 Americans pass away from IPF each year. A startling fact - As many people die each year from Pulmonary Fibrosis as Breast Cancer. 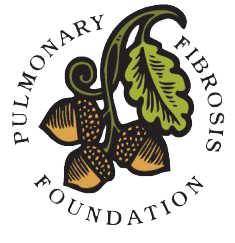 The Octoberfest Half Marathon 10k, 5k, & 40k bike is proud to support the Pulmonary Fibrosis Foundation. Proceeds go to benefit this amazing organization in the hopes that one day they will find a cure. Run/Walk/Bike (hop, skip or jump if you'd like) the Half Marathon 10k, 5k, or 40k bike. Mail in the donation directly to the Pulmonary Fibrosis Foundation or bring it to the race on October 19th, 2019. Checks can be made out to Run Octoberfest, Inc. or PFF (Pulmonary Fibrosis Foundation). You may also donate to our team page or create a team page of your own directly here. to win some great PFF and Livingoods swag packages!! All donations are tax deductible and you will receive a letter from the Pulmonary Fibrosis Foundation. Payable to: PFF or Run Octoberfest, Inc.
Or online to our team page or create a team page of your own directly here. to win some great PFF and Livingoods swag packages!